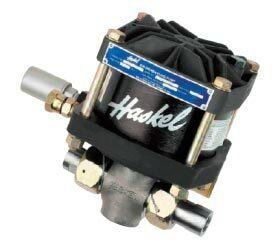 We are a leading Supplier, Exporter and Importer of a quality assortment of Haskel Pumps to our respected patrons. Our products are known for their durability, smooth design and high efficiency. Mentioned pumps have ample applications in various industrial activities followed by its unique characteristics. We obtain valuable raw material for the pump from trusted vendors in the market to ensure quality products to the customers. Further, we provide these pumps in varied specifications as per the requirements of the customers. Same as 1/3 HP Modifications also available for temperature extremes.